I am continuing my mission to cook through “The Baby & Toddler Cookbook” I found at Williams and Sonoma. I bought these organic carrots at Albertson’s out of convenience. I usually buy them at H-mart, Whole Foods, or the farmer’s market which tend to have better quality produce than Albertson’s but bebe E could care less where her carrots are coming from as long as she gets to eat them. Like all of bebe E’s food, I store them in 2 oz Baby Cubes and I keep one or two in the fridge and the rest I freeze. These are frozen yet the carrots are still so vibrant and fresh-looking. Peel and rough chop carrots. 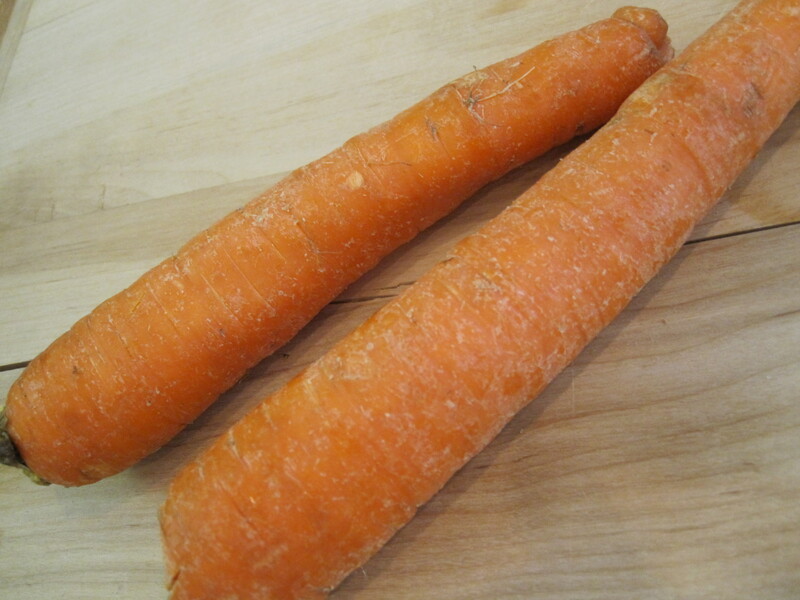 Boil water in medium pot and cook for 15-20 minutes until the carrots are very tender. Reserve liquid. Allow the carrots to cool, add just a teaspoon of the reserved liquid and purée using a hand blender. I might try going back to steaming with the next batch of carrots but if you choose to steam the carrots instead of boiling them, you will need to cook them for a bit longer than 20 minutes. 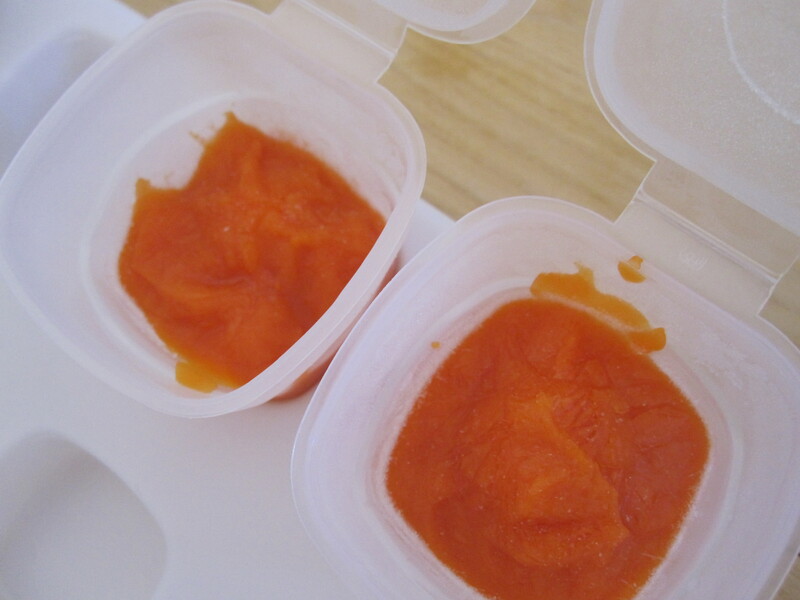 This entry was posted in 1st Foods | 6 Months, Baby's Food and tagged carrots puree, homemade baby food by Judy | Bebe Love Okazu. Bookmark the permalink.